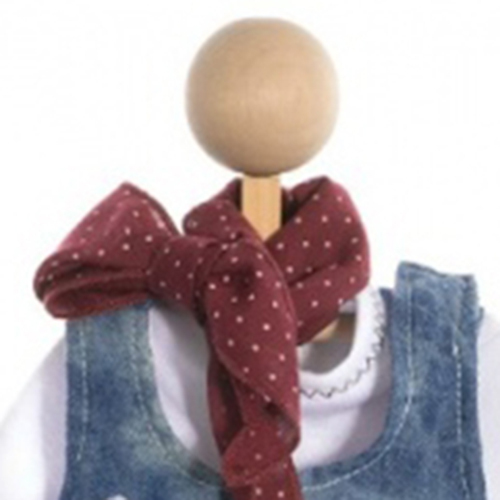 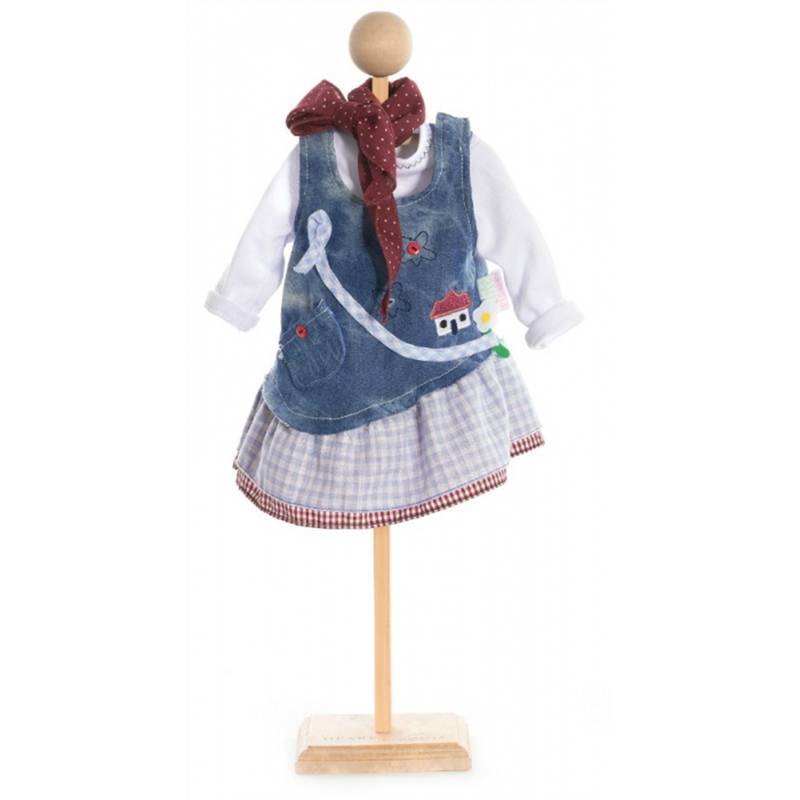 The Tulipe Outfit is a cotton jeans dress with a ruffled gingham skirt, a white long-sleeve shirt and a small kerchief. 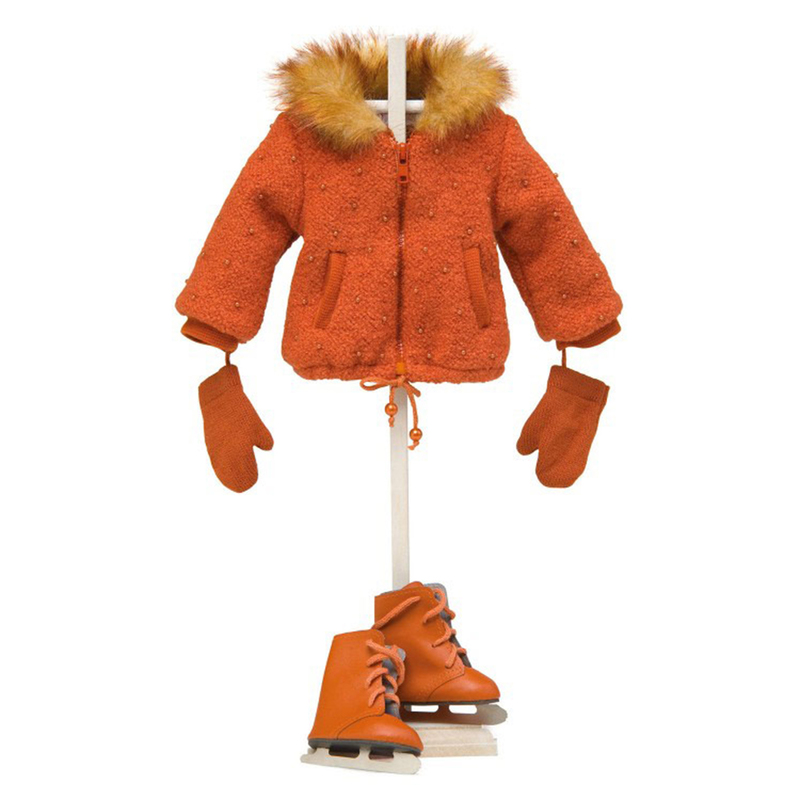 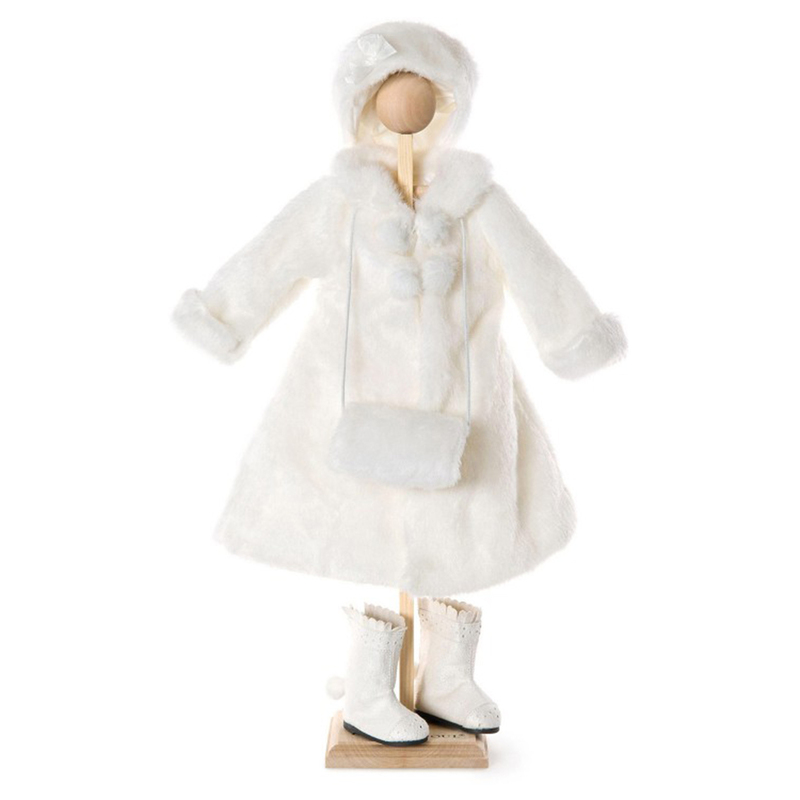 This outfit has been designed to fit dolls approx.. 17½ “–19” (45-48 cm) and has been cut slightly wider. 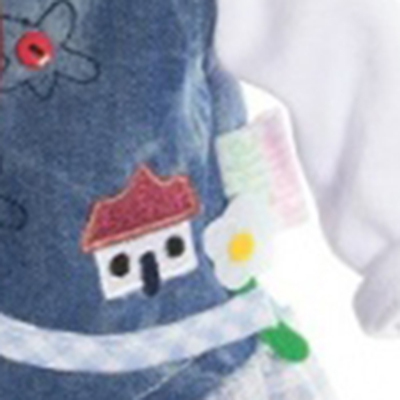 the outfit will fit Kidz’n’Cats dolls comfortably and is especially suitable for younger children from 3 years because unlike the other outfits in the range, this dress closes with Velcro in the back, making it easy to dress and undress the dolls. 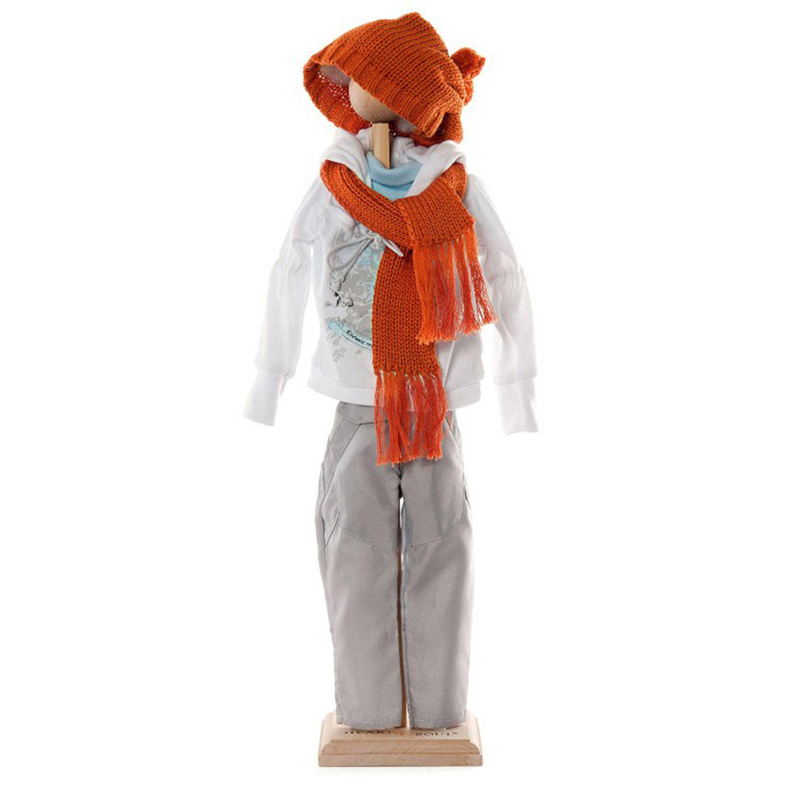 For creative play * EN71, tested for safety.